As I boarded my last connecting flight from the mission field to the US, I just wanted to rest. So I closed my eyes and soon I was sleeping. But in about 10 minutes I was wide awake and greeted the lady sitting next to me. When I found out she was from Haiti I perked up and greeted her in Creole. I told her I had flown eight medical trips to Haiti many years ago. I assured her I had no plans for the moment but that someday I would come. I told her I was too busy with 93 other countries. She informed me that she pastored a Pentecostal Haitian Church in Miami and was regularly involved with helping Haiti. “What would it take to get you in Haiti right away?” she insisted. She brightened up as she assured me that she had great contacts and would be in touch right away. Less than a week later she told me everything was arranged and wanted to know my arrival date. My first opportunity was to stop by Port-au-Prince on Friday, October 13 on my way up to the US with the mission plane to pick up an aircraft engine for one of our planes in Guyana. When Aunt Becky and I arrived in Haiti we were warmly welcomed by airport authorities and as soon as we parked the airplane we were off to meet a series of appointments she had arranged for us. I was amazed at how fast and how positive everyone was. God was truly at work as I have never seen things move so smoothly in other countries. The next day was Sabbath, and having researched me on the internet, she knew I was a Seventh-day Adventist pastor. She arranged for the evangelical pastor and church members to hold a Sabbath service. What sweet Christians they were. The Holy Spirit was deeply felt as I spoke on the work of Jesus our High Priest, Righteousness by faith and Jesus imminent return. Some wept. 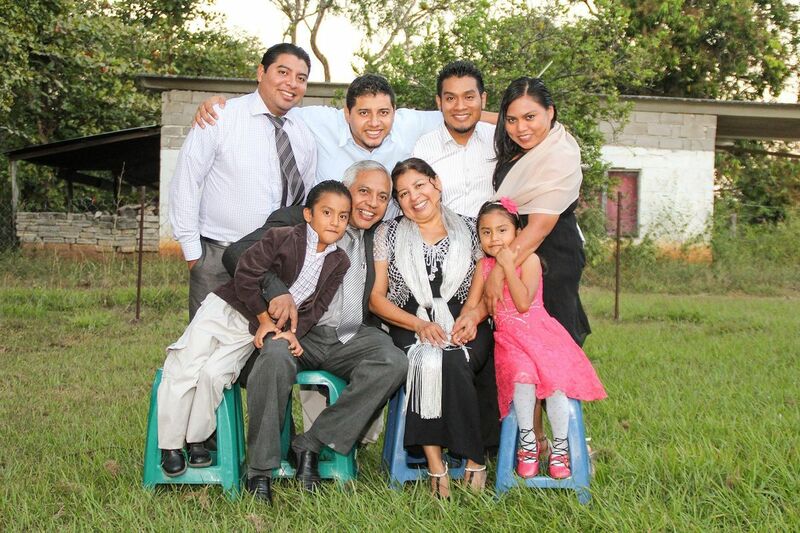 Before we left the pastor pledged to hold Sabbath meetings every week and to pray for us and our work. Another senior pastor who has worked with Billy Graham and represented the Gideon Bible Society has made it his personal goal to pray for me every day. In summary, I am humbled and grateful to see God is using his sheep of another fold to prepare the way for the preaching of the Three Angels’ messages. No doubt millions are ready to become part of God’s remnant people, except that the remnant are not ready spiritually to receive them yet. May God prepare us soon for that Great Harvest. Please pray that great light will soon shine across Haiti and set the captives free. God is taking the reins into his own hands now. I can see it and it scares me a bit at what the consequences will be for those who know the truth but continue sleeping. Please wake up, prepare to meet your God and carry out your mission. 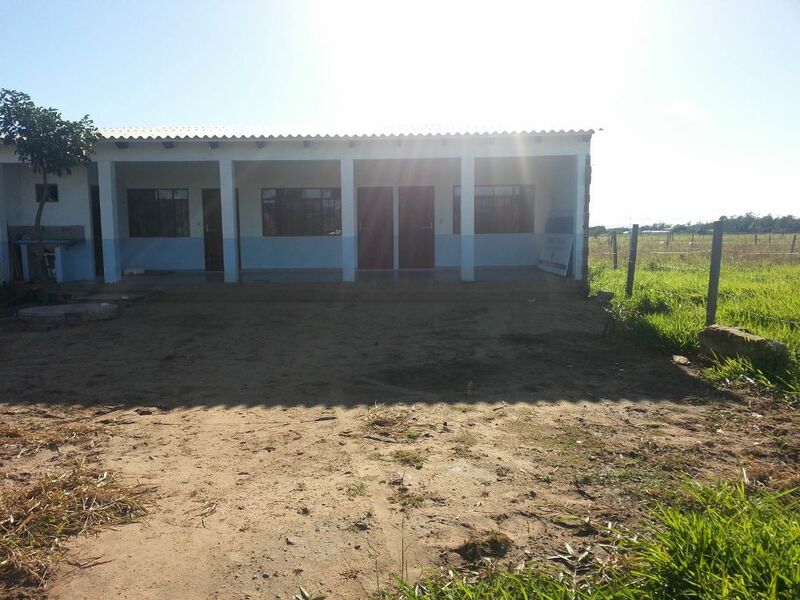 Several years ago, the Lord helped us find a beautiful property out in the country for our TV station in Bolivia. As we got to know our neighbors, we came across a young boy who had had an appendectomy, and the surgical site did not heal properly. Shortly after that the father burned his legs badly while changing the tank of propane for his stove. 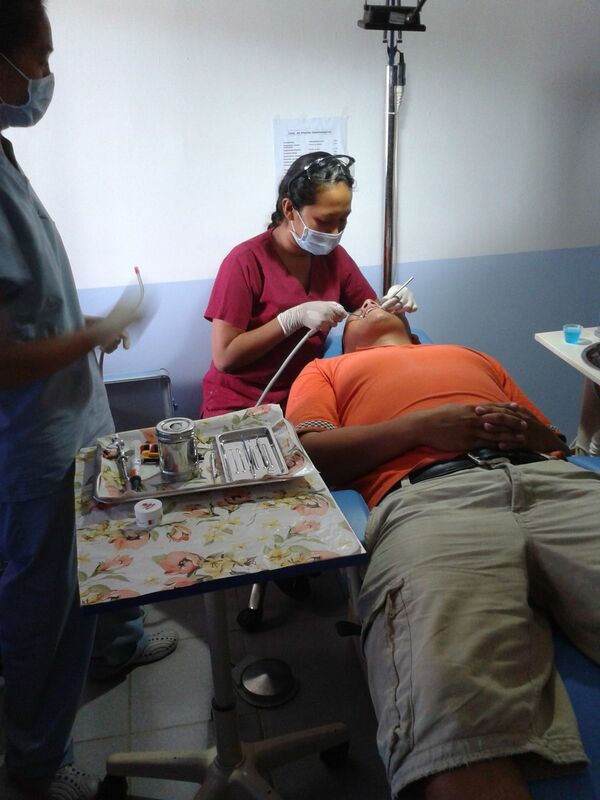 Again we helped give wound care and also helped the family with food until the father could work again. All this showed us the need for a health center in the village. Saraí, one of our volunteers, helped me design a building. We turned in the floor plan to the municipal government and it was approved. However, we knew that would take a lot of money to build. In the meantime, Carmen (a nurse) encouraged me to rent a place and get started. Carmen, Sarai, and I went to talk to the community leaders. They were thrilled that we wanted to do something for the village. 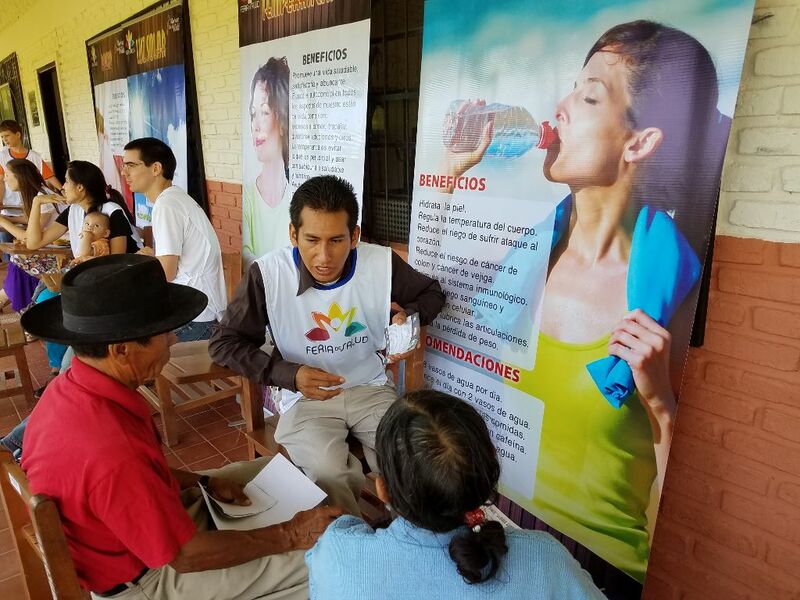 They wanted to start a program called “Mi Salud” that would give free care to children under five, pregnant mothers, and elderly people over 60. The government was willing to send doctors, but the village needed to provide a place for them to work. We weren’t sure about working with the government, but after praying about it we decided to give it a try. We found two rooms for rent for $100 per month. We didn’t have the money to pay for it, but right away the Lord sent us a donor who paid the rent for the first year. God is so good! We didn’t have any furniture to furnish the rooms. Our volunteers immediately made us some incredible furniture out of leftover scraps. A friend did the upholstery for free. The clinic I work for in the United States donated many items, such as dental tools that they were going to dispose of. 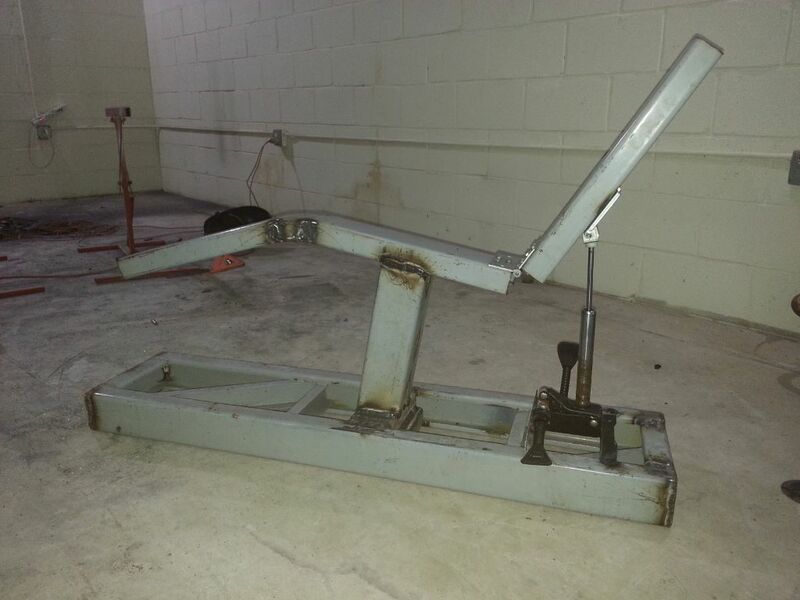 We got a donation for $1000 to get a portable dental unit. 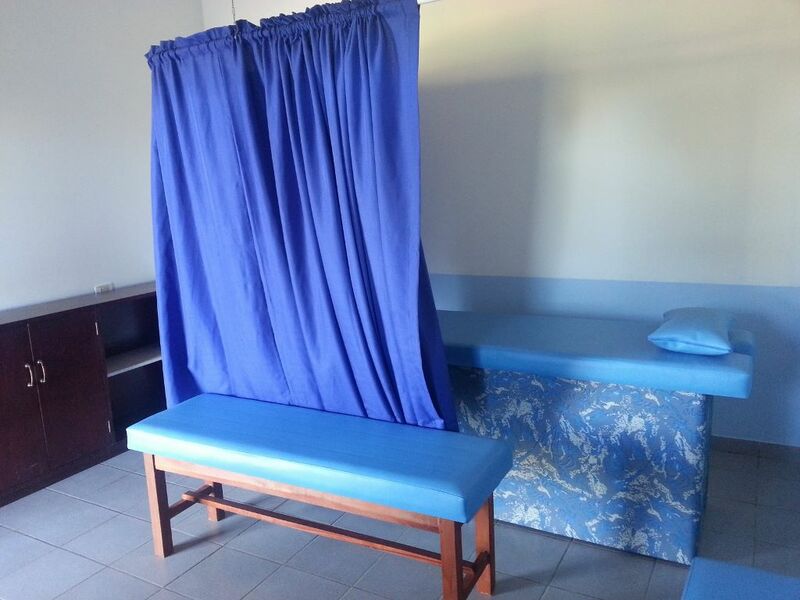 That little unit has helped hundreds of people, not only at the health center but also on many mission trips. 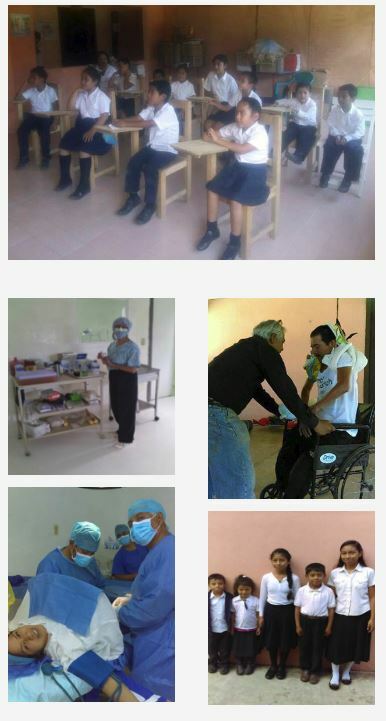 The program “Mi Salud” operated with us for two years. Several of the doctors care about their patients, and would refer them to us for physical therapy, massage, and nutritional counseling. Each doctor was given the book Ministry of Healing. Then a new government party came and as a result their services were terminated. The main purpose for this little clinic is to help people get to know Jesus and the principles of health that He has shown to us. Several people, including one of the doctors, asked me when we would be starting a church in Barrio Lindo. About that time David received a donation of several thousand dollars with no specific instructions, so we decided to start building a very simple structure with two rooms on one end (one dental and one medical), two bathrooms, and two rooms at the other end (one for hydrotherapy and massage and one small living quarters). 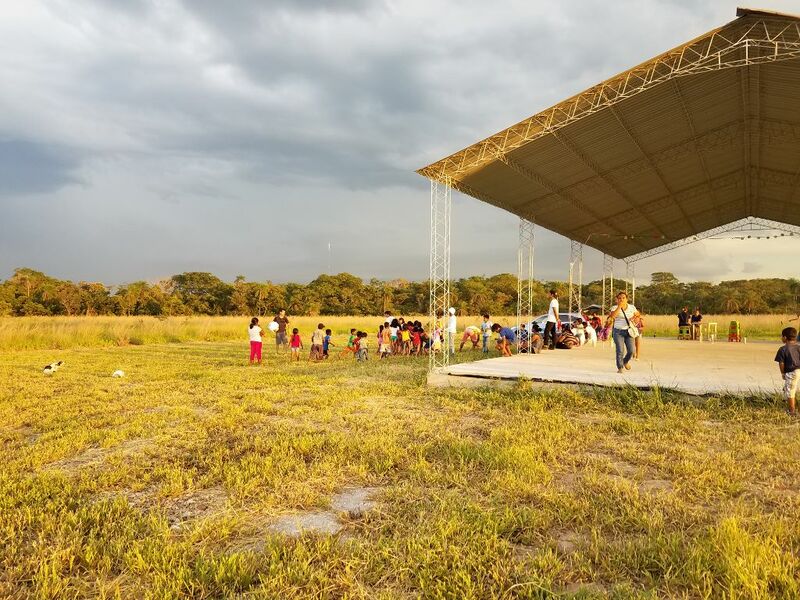 In between would be a large open area that we could use for church services, health seminars, and Vacation Bible Schools. 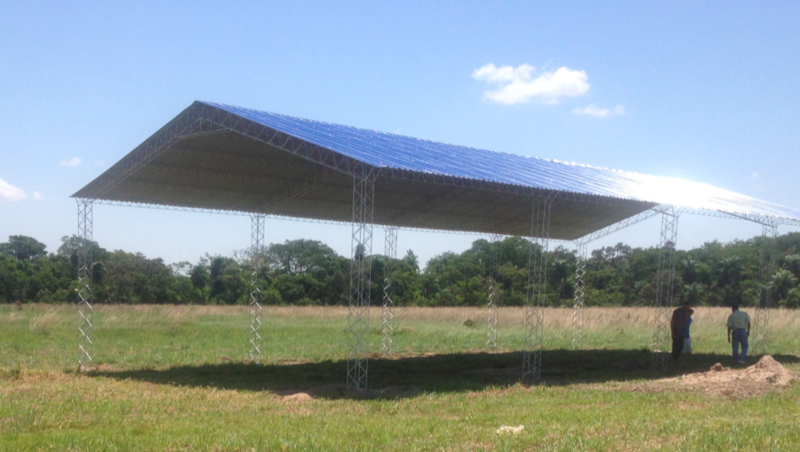 First we put up the roof. Many months later we were able to pour the floor. 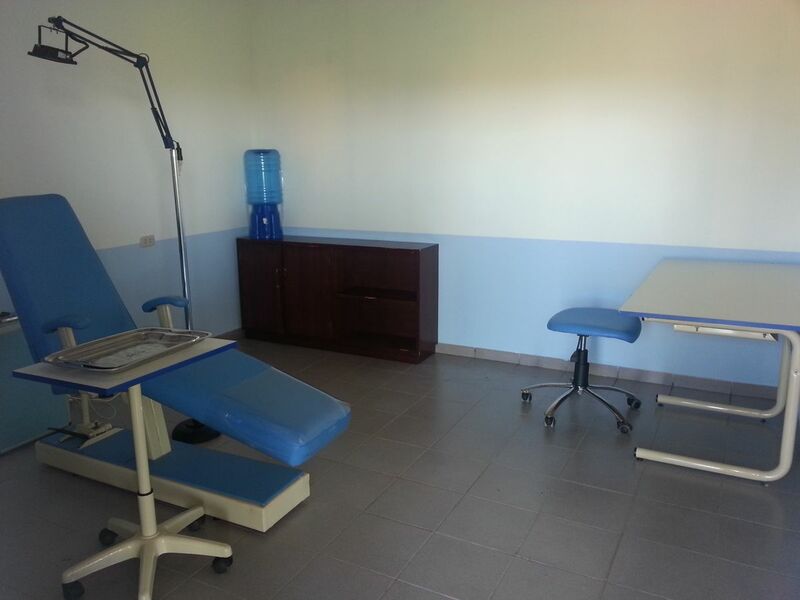 We are hoping that by January or earlier we can begin offering services in our new Health Center. The structure is not finish yet! By the way, our new little Health Center is right by our runway. Many times our airplanes have landed at the downtown airport bringing very ill patients. We always arrange for an ambulance to be there to pick up the patient, but many times it never shows up and we have to send the patient in a taxi. 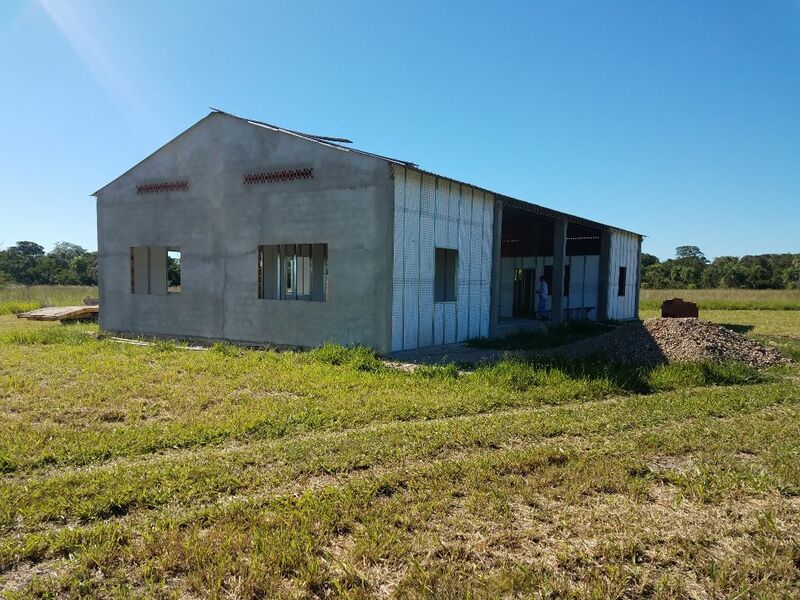 We are hoping that someday we can expand this little Health Center to include patient rooms and other facilities so that they no longer will need to go to the downtown hospitals. Please keep praying for us. 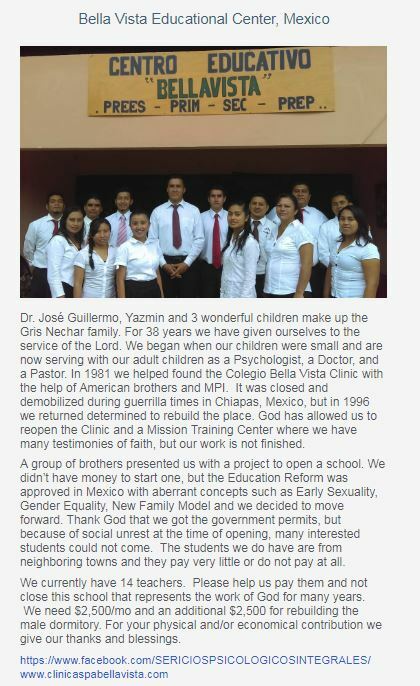 Back in February of the current year, we brought a story of a mission in Mexico (Bella Vista Educational Center). Unfortunately on Sunday September 3, Dr. Guillermo Gris (Director of the Institution) was patching cracks in the cement/asbestos roofing over the clinic, classrooms, dorm and a staff house at Bella Vista in southern Mexico. Suddenly one of the brittle 40+ year-old roofing panels shattered, and Dr. Gris fell headfirst onto the concrete floor. Dr. Gris suffered a severe head blow, which thankfully did not shatter his skull as originally thought. 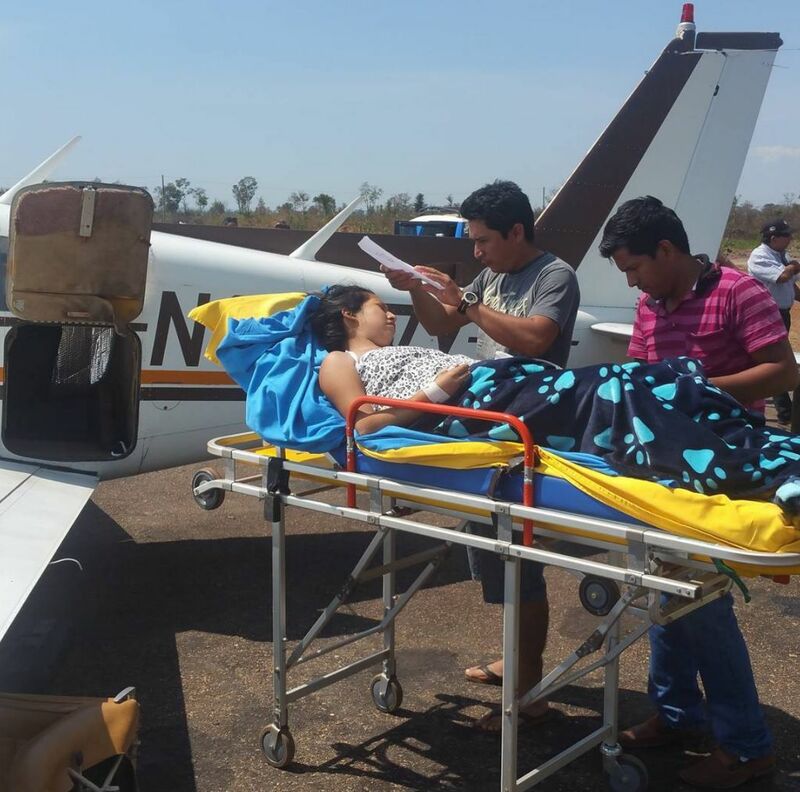 He was taken to the nearest hospital in Comitán, stabilized, and transported to Tuxtla Gutiérrez, the Chiapas state capital. Further testing revealed that Dr. Gris has many broken ribs, a broken wrist, and severe damage to his spinal column. The T4 and T5 vertebrae were shattered, crushing his spinal cord and leaving him paralyzed from the chest down. Dr. Gris is currently in a government hospital, as he has no health insurance. 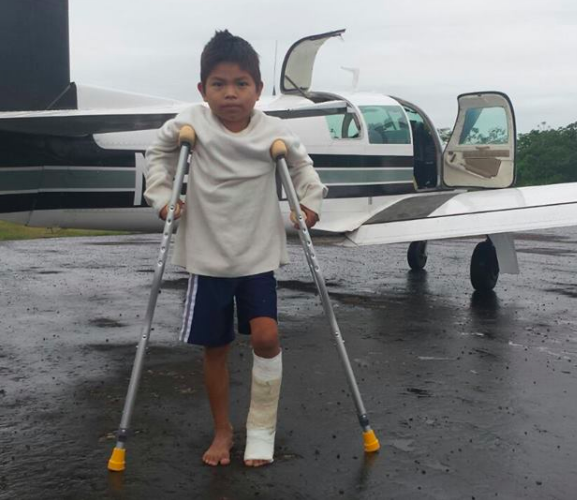 Initially, the physicians said they couldn’t operate on his back, but upon being moved to a different facility in Tapachula, the specialists decided they could operate and stabilize his back. 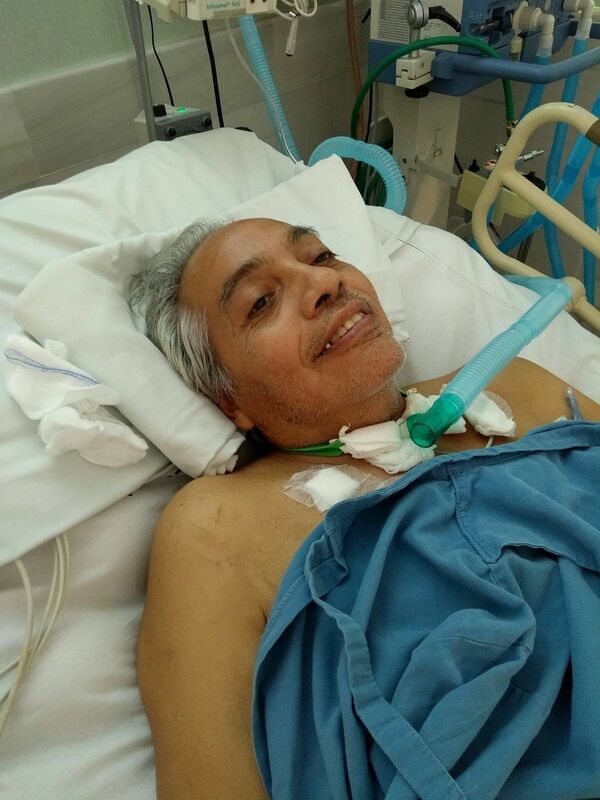 He is able to move his arms, nod his head and write, but cannot speak, because of a tracheotomy. 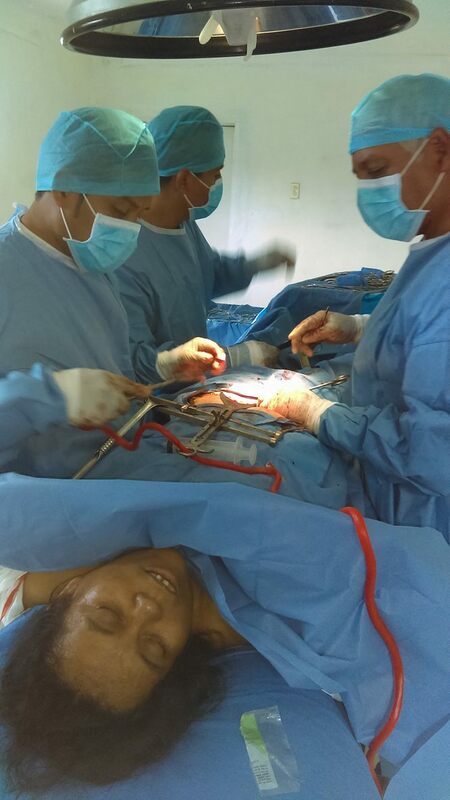 LEFT – Dr. Gris and the team at one of thousands of surgeries he’s performed. We were hoping that Loma Linda specialists would be able to operate on him, but we were unable to get a positive response on that possibility. 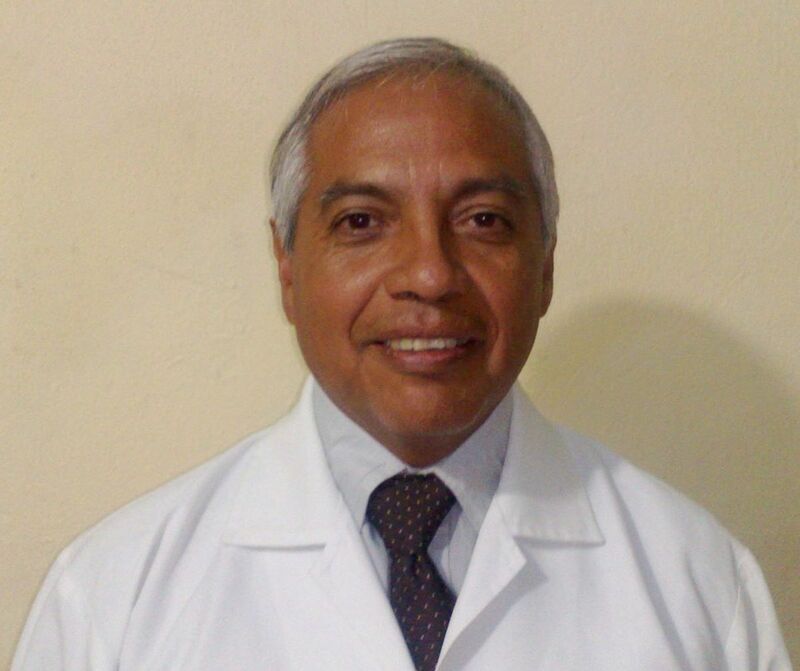 Dr. Gris and his family have sacrificed a lot, serving the medical needs of thousands of patients for decades at Bella Vista, La Loma Luz and other locations. We pray that God will open the way for him to get the treatment he needs. Medical specialists are discussing options to remove the bone shards in his back so that he can eventually be stable enough to resume his medical work from a wheelchair. They are concerned about damaging his spinal cord and making his situation even worse, but that is a risk in any spinal operation. The government will cover most of the hospital and physician costs at their facilities, but he will be billed for all supplies and equipment needed for his surgery and rehabilitation, which the hospital says could amount to $35,000 U.S. dollars. Friends, relatives and churches are pitching in with what they are able, but their contributions are minor compared to the amount needed. At this point his paralysis appears to be permanent, and only a miracle by the Great Physician will have him back on his feet again. Back at Bella Vista, the Clinic will not be functioning for a while, but the school is in operation, led by a capable principal and staff. 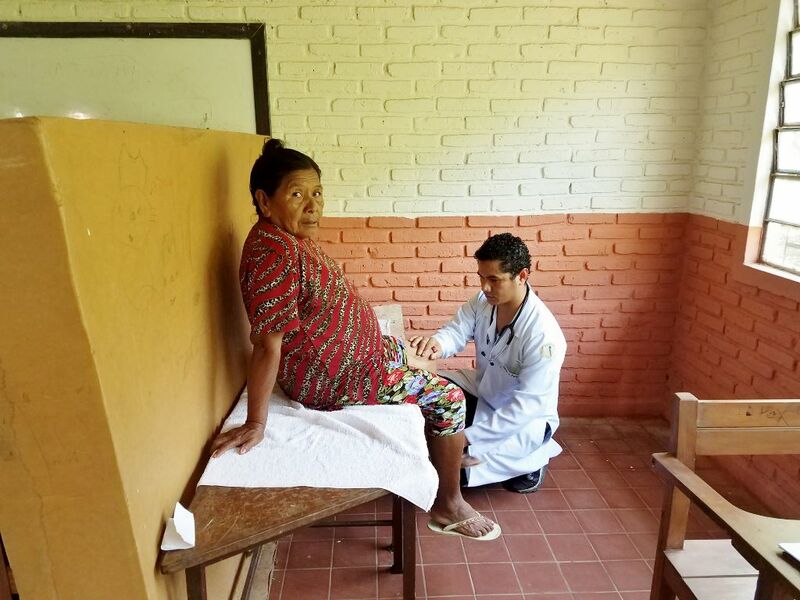 Dr. Gris has requested volunteer medical personnel to serve at the clinic in south Mexico for short or long-term periods while he recovers—preferably volunteers who have some knowledge of Spanish. We will continue monitoring the situation and providing updates as they become available. We appreciate your prayers and support for Dr. Gris, his family, the medical staff, and the folks at Bella Vista who continue to carry on with their mission. 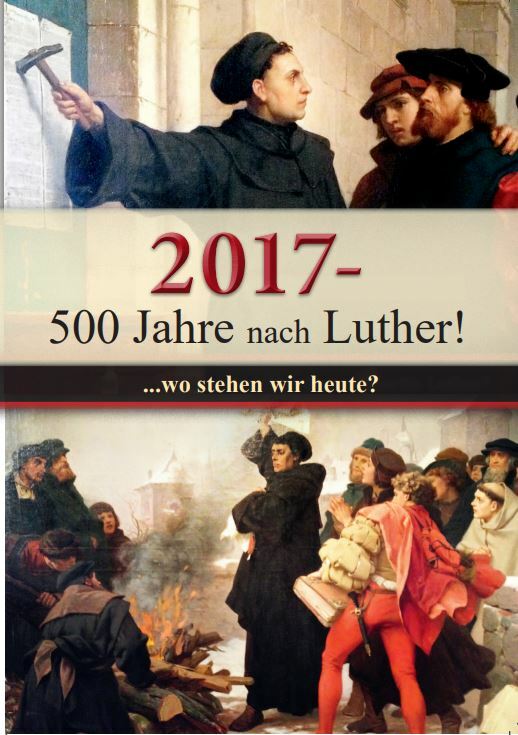 In connection with the distribution of the Reformation brochure: “Five hundred years after Luther 2017″. We are really grateful, that quite a number of people in Germany are distributing this little booklet. However, in such a tremendous time and opportunity of the 2017 Reformation commemoration, we do need even more people to take part in this effort of sharing the message of the Three Angels Message especially in Germany. We therefore have made an appeal to willing SDA members from other countries, to come to Germany and to join with us in the distribution of the Reformation brochure. Since we are planning to hand out the material in different places and cities, we do need some places where the helpers and Bible workers can accommodate. To accomplish this we need your help. In case you cannot open your own home for some Bible workers, then perhaps you know someone who is willing to share his/her place with them. The more people respond, the more places in Germany will be reached. 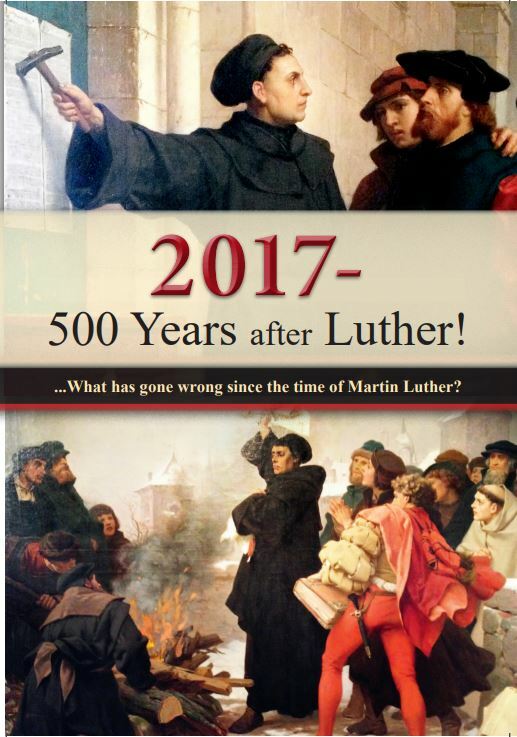 It is our prayer and request, that God will provide enough resources, in order we can even print more Reformation brochures. Our target is to print 1 million brochures for Germany before the official ceremony in Wittenberg on October 31. So far, there have been already distributed 190.000 brochures. By September 4, 2017, another 200.000 brochures will be printed in German language! Be a part of this historical event. Join us in letting Germany know, that there is still a protestant movement dedicated to the Bible and the Bible only! For any support, please get in touch with Nicola Taubert, the Director of AMEN, as soon as possible!